So what can you do now that it's free? Blizzard made Starcraft II free-to-play last week, and so we decided we'd hop in real quick to check out what (exactly) you can do cooperatively. Turns out, it's a fair amount. Co-Op Missions (dedicated co-op mode) is free and players can play as any of the commanders. Raynor, Kerrigan, and Artanis can be leveled to the max level of 15, while all other commanders are capped at level 5. Leveling commanders unlocks new abilities and units for them to use. Commanders can be purchased for $5 each to remove the leveling cap. With all that in mind, Nick and I hopped into a Co-Op Mission to check it out and see how well we could do. We had some technical difficulties, so part of the stream got caught off. That said, you can enjoy us playing through one of the missions (successfully, somehow!) and see what the game has to offer in the video below. 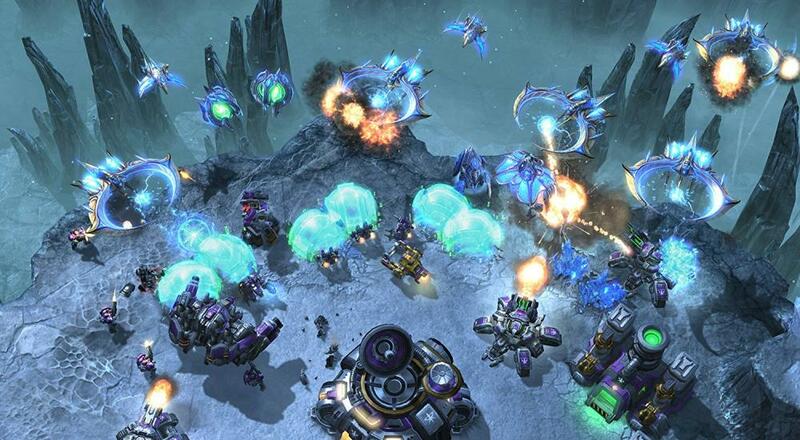 Starcraft II is available on the PC and Mac. Page created in 1.3015 seconds.